To control the mod is mainly used only the right mouse button. 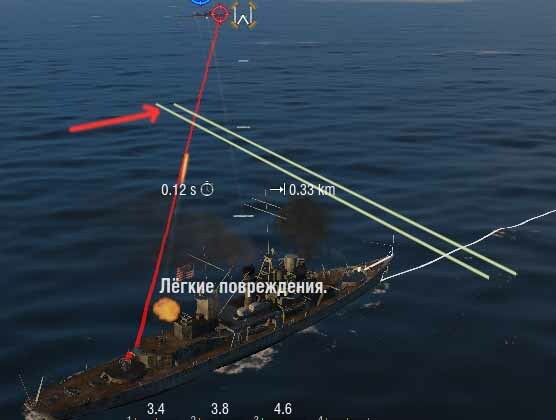 By holding down the right mouse button, you allow the mod to adjust the target instead of manual adjustments and to launch torpedoes,missiles or bombs. For the automatic adjustment and automatic reset function to work, all aircraft must be calibrated. Calibration of a particular type of aircraft should be performed with each purchase of a new aircraft carrier or replacement of aircraft on it. The easiest way to calibrate is to create a closed training room and add bots there. After starting a training battle to raise each type of aircraft in the air and perform them on the calibration of movement and shooting. To do this, by default, the fashion reserved key "P". When you click on that you will see in the battle chat the necessary instructions for calibration. The essence of these instructions is that first, the aircraft themselves are rotated to a certain angle without the player, and then the player is required to launch missiles, torpedoes or bombs to calibrate the reset time. Calibration of the time of dropping bombs or launching torpedoes / missiles allows more accurate calculation of the lead. Upon completion of the calibration of all aircraft can leave the training room and go into a normal battle. Or all the calibration can be done directly in battle, but you will spend some time. 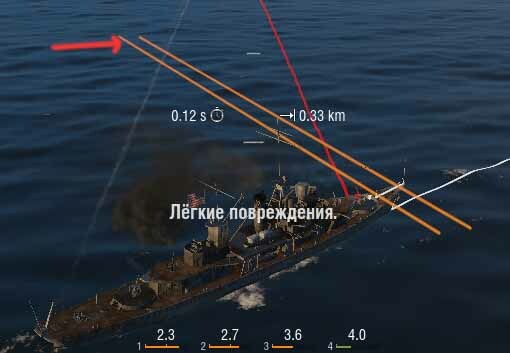 In order to select the target on the screen - move the center of the screen to the desired enemy ship and see the orange lead line for the current type of aircraft. The end of the lead line is the point of guidance for the aircraft. When you press and hold the right mouse button-the target will not change. You can also lock the selected target by pressing the "space". After that you will see the corresponding message in the game chat. 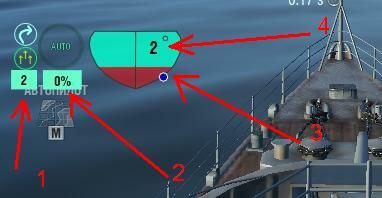 This may be necessary when the attack on the enemy ship, you release the right mouse button to use the control keys of the aircraft to go to the desired course, but if at the time of clamping the right mouse button next to the center of the screen will be another enemy ship, the goal will be considered it, because it is closer to the center of the screen. And if you fix the target ,seeing that it appeared on the lead line, the key "SPACE", until the moment of fixing the target with the same key or the departure of the target from the light or return to the ship - the last selected target will be displayed with anticipation. And now you can safely perform manoeuvres for re-entry at the target for example, or for re-reset. Each type of aircraft automatically adjusts to the lead point when the right mouse button is pressed, that is, at the end of the orange line. At the time of automatic adjustment, only the aircraft speed control keys and the reset key work. The rotate keys and mouse will not work. Because of this, it may be inconvenient to observe the drop procedure (especially bombers). When you hold down the right mouse button, you will see a red, green and blue line in the direction of the target. 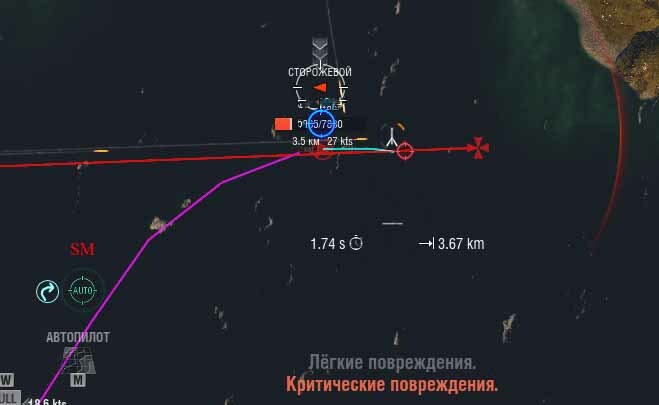 The red line shows the direction of your aircraft. Green shows the direction of the lead point, and blue - the direction of the sight of the game. Ideally, when attacking, these lines should merge with each other or be close to each other. Therefore, when a sharp maneuver and hold the right mouse button to adjust-the game sight can be a little shake from side to side. Attack different types of aircraft. Stormtroopers preferably enter perpendicular to the hull of the enemy for more damage, but slightly in front of the point lead. Otherwise, at the time of launching the missiles, the aircraft will not be perpendicular to the body of the enemy ship, but at some angle. The beginning you choose so that you have enough time for complete mixing and still had a little time to adjust guidance. Start the attack (by pressing the left mouse button) perform themselves, and then hold down the right mouse button, look at the adjustment and wait for the launch of missiles. By releasing the right mouse button you stop the adjustment and reset process, but it can be resumed again if the distance to the reset point still allows. At this time, you can increase or decrease the speed of the aircraft to quickly finish the attack until they are hit by air defense. Their guidance and attack is similar to the same procedure as the stormtroopers. 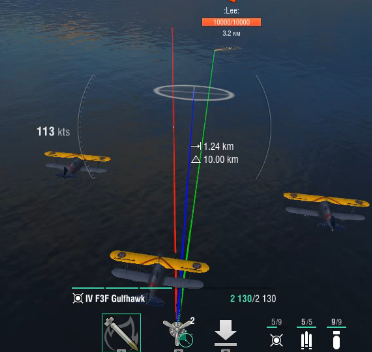 That is, first, you approximately direct the aircraft perpendicular to the body of the enemy ship, start the attack by clicking the left mouse button and hold the right mouse button until the torpedoes start. At this time, you can increase or decrease the speed of the aircraft to quickly finish the attack until they were shot down by air defense. In the case of a bomber attack, the process of attack and reset is performed by the mod and you only need to bring the ellipse of the sight to the point of pre-emption and hold the right mouse button. 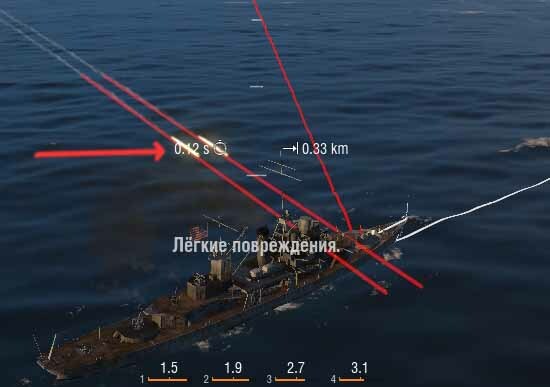 The mod itself will start the attack at the time of coincidence of the point of pre-emption and the elliptical sight and drop the bomb if the enemy ship at the time of full information of the sight will be located under the sight. If the enemy abruptly changes course or slows down/accelerates, then it is impossible to guarantee a successful reset and you will have to go again to the target for the attack. Bombers naturally desirable to go from the stern. You can with the nose of the enemy ship, but the stern will be more time for adjustment, as the planes catch up with the ship ,not moving towards him. 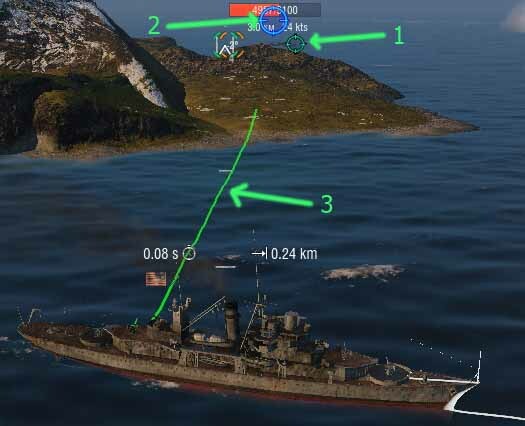 Side attacks can also bring some damage, but keep in mind that the ellipse of the sight in the case of dropping bombs is not the entire area above the ship. - Enemy "Laser lines" are deleted? because it's not effective in battle. - Warpack loading status in the top left corner in harbor. - Aiming and prediction type panel. This panel shows current state of mod. It's shows a prediction type, locked target ship and autoshot feature. Linear prediction icon shows like this. Linear prediction is more usable to shot on ships that moving without rotation. Combined prediction icon shows like this. Combined prediction is more usable to shot on ships that moving with rotation. 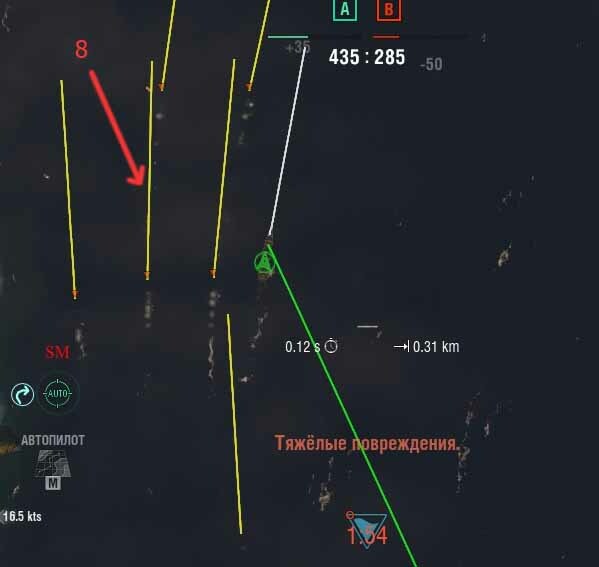 But combined prediction switched to linear prediction if enemy ship moved without rotation and combined prediction point(in this version) may "jump" in some cases. Autoshot feature shown on this icon. If this panel not shown after countdown ends - mod are disabled and you must play battle manualy. Locked target you can see on same panel. To lock target and unlock it - use right mouse button (by default, but it's can be changed in settings.xml in warpack folder. to change this key code - change value attribute of fix_target_hotkey parameter). Now target selection process work on this algorithm: Selected nearest target to center of screen (or to mouse cursor - if you hold Ctrl key on keyboard). You can lock this two types of targets (near and far targets). - Red - if you can shoot the target. - Green - if you can't. (then target is far away or behind a island). Green or red line started on your ship gun and ended on target - duplicate prediction marker state. It's more visible than prediction marker in arcade game mode. To hide this line in arcade and sniper game mode - change settings.xml parameter show_gun_direction_line_in_arcade_mode in value attribute to false. 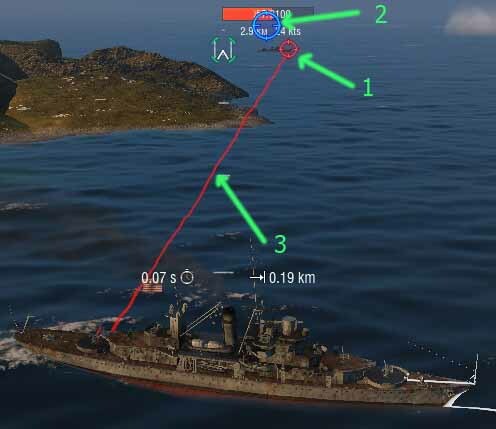 For more visible enemy torpedoes - it's added yellow torpedoes direction lines. If you play on fast ships you can use a "rainbow" feature. "rainbow" - it's a enemy tracers ends. It's colored by green->blue->yellow->red. 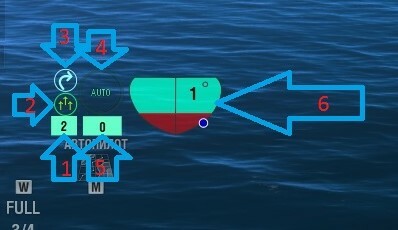 Green colour indicate far tracer position from your ship. red colour - nearest tracer (shell) position. 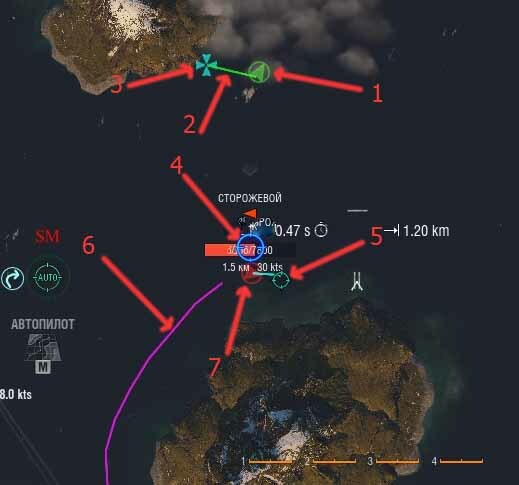 This "rainbow" lines may help you to move ship from it. If you want to disable this feature - change show_rainbow parameter value in settings.xml to false. "Artillery mode" (free camera) not changed from previews version. It's activated by middle mouse button (by default, but it's can be changed in settings.xml in warpack folder. to change this key code - change value attribute of artillery_mode_hotkey parameter). To use this feature - reassign this hotkey (middle mouse button) in game settings. To change zoom range in "Artillery mode" you must change following parameters in settings.xml (min_art_mode_height and max_art_mode_height). added prediction point manual horizontal offset. if you press ALT key in battle - second choise appeared on marker or minimarker. "old prediction point height offset type" - old vertical PP offset mode. "manual PP height offset type" - you can regulate vertical PP offset on enemy hull by hotkeys (up and down by default). Last night, there were some connection problems with the EU server. Random players had drastic lag spikes and other simply couldn't connect, while others were fine. Maybe this information can be of use to you. Does the modpack work for new update on Ships? 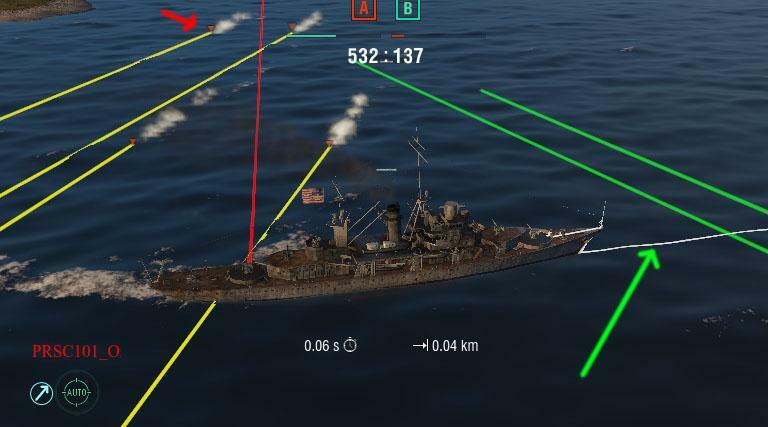 When I start WP, the Start World of War ships button is greyed out why? Warpack icon not show or maybe not work in steam version ( asia server ). I try CTRL+ALT+SHIFT+W dont show icon..
Warpack not working on EU WoWs server. I have a one month subscription and have reinstalled the launcher but not working. sorry - meant to ask if any help/advice available? check warpack version in launcher. if it is not zeros - warpack must work. else - add warpack folder to antivirus/windows defender exclusions list. you can also change server in warpack launcher.